Providing you the best range of foot pedals with effective & timely delivery. 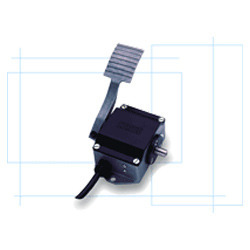 Owing to the vast industrial experience in this domain, we have been able to offer a wide range of high quality Foot Pedals to our well known customers. The offered products are widely used with motor speed controllers in various materials handling equipment. In addition to this, these products are available in customer stated specifications. Looking for Input Devices ?